The Mary Mitchell Fashion Studio in the Department of Textiles, Merchandising & Fashion Design is dedicated to a fashion illustrator that celebrated designer Oscar de la Renta described as "a true artist, elegant and masterful." It also honors the generosity of both Mary and John Mitchell who, through the University of Nebraska Foundation, endowed the Mary Mitchell Fashion Illustration Scholarship Fund and the Mary Mitchell Fashion Excellence Fund, and helped to underwrite the costs of the 2012 renovation of the department's main fashion design studio. Omaha-based Mary Mitchell worked as a fashion illustrator for some of the biggest names in Nebraska apparel retailing through the 1960s and 1970s. Her keen eye and refined drawing skills depicted the textures and silhouettes of numerous iconic brands of the period. Mary and John Mitchell's gifts will, for generations of students to come, help Textiles, Merchandising & Fashion Design students to successfully pursue and to ultimately realize their professional dreams. 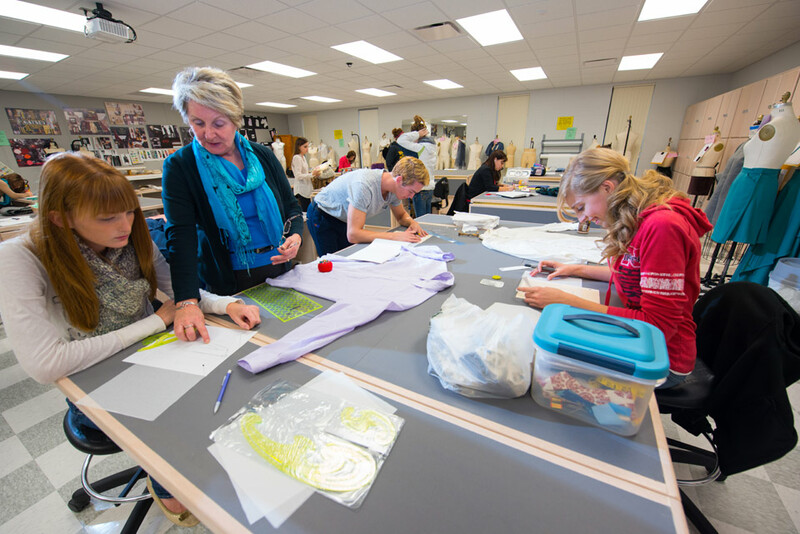 The studio includes 24 fully equipped sewing workstations, student lockers, a pattern digitizer, male and female dress forms, and the latest instructional technology.